GRAPHISOFT announced the next version of ArchiCAD – a BIM software solution that makes it possible to pay attention to the smallest detail, bringing the model to life throughout every phase of design. GRAPHISOFT has developed a powerful modeling tool that can handle even the most complex designs. More than a compatibility update – ArchiCAD 17 is a one-of-a-kind, BIM-based construction documentation solution. 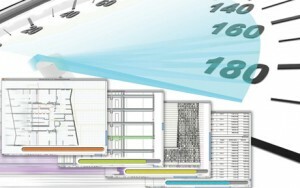 It simplifies the modeling and documentation of buildings even when the model contains an unprecedented level of detail. 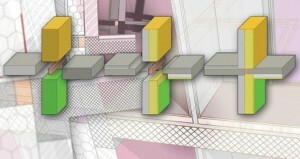 ArchiCAD 17’s end-to-end BIM workflow, featuring Priority Based Connections with Intelligent Building Materials, automatically provides structurally correct sections and details, offering maximum ROI on the work invested in creating the Building Information Model, and allowing the model to stay live until the very end of the project. GRAPHISOFT remains in the forefront of the Open BIM movement through the development of ArchiCAD 17. The software supports Coordination View 2.0 and expands capabilities for defining new IFC data such as Concept Design BIM 2010 (required by GSA (US), Statsbygg (Norway), Senate Properties (Finland), FM Handover (required by COBie), and others. This includes currency unit export, calendar date type IFC properties and IfcSystems Assignment Support for system type elements such as MEP systems. It’s fast, strong and can handle even the finest details on the most complex projects, thanks to added background processing. The model supports the creation and manipulation of large, complex models and faster generation of complex model details.this is a big amount of work, anxious to see it in action. 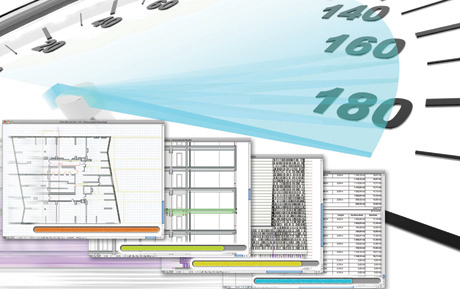 The built-in energy evaluation functionality of ArchiCAD uses StruSoft’s VIPcore calculation engines. Using ArchiCAD 17 architects can perform improved energy evaluation based on standard-compliant technology, supporting multiple thermal blocks. The early design stages can include accurate energy calculations which can be shared in various formats including PDF, XLS and IFC. 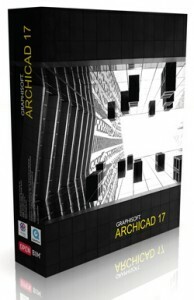 Further enhancing the share-ability of your model, GRAPHISOFT has incorporated BIMx into ArchiCAD 17. 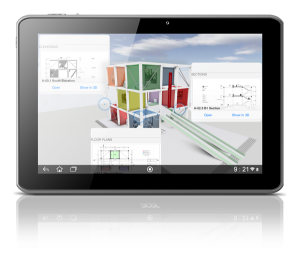 This innovative, interactive, BIM communication tool converts desktop and laptop computers, iOS and Android tablets and smart phones into full-fledged building model explorers. Any and all stakeholders can upload, browse, and download interactive BIMx models from any part of the world. 3D cutting planes can be set on any view of the model. This feature enhances the visualization of large models and improves the 3D editing processes – because you can display the most relevant parts of the building in 3D view. For a live demonstration of ArchiCAD 17, please register for the upcoming “BIM Lives in the Details” webinar scheduled for June 18th.